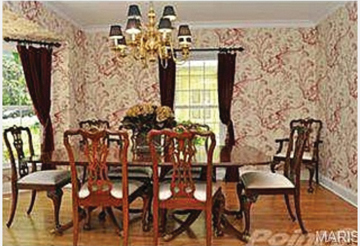 Old Hollywood elegance procedes the revival of formal entertaining in a 1930's Webster home. “I can never just cook a simple meal,” gushes homeowner and bona fide foodie Allison Gulbrandsen. Apparently her culinary exuberance slipped into interiors, too, because what began as a simple nursery project quickly enveloped Gulbrandsen’s entire residence, ending with the dramatic reimagining of an outdated Chinese-toile papered dining room. 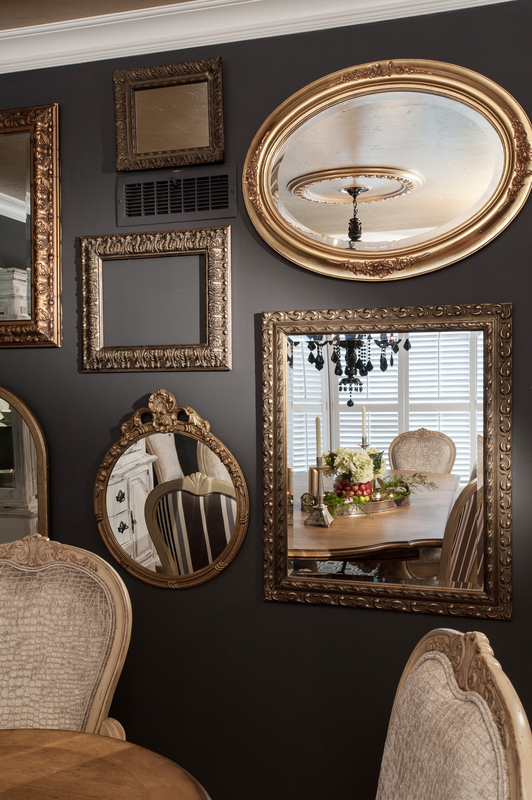 As for the new digs, they’re anything but commonplace -- A result designer Joni Spear of Joni Spear Interior Design accomplished with romantic, crisp Old Hollywood glitz that jives with Gulbrandsen’s affinity for that lost art of entertaining. Most homeowners, we know, are knocking down walls and opening up floor plans. Gulbrandsen doesn’t mind her home’s original layout. In fact, she likes how it follows the natural progression of a formal soiree, beginning with a sit-down dinner, moving to the living room first and then outdoors. Last month, the soiree was a gourmet Giada cocktail party. Gulbrandsen served Hawaiian meatballs with homemade flatbreads, she says, before listing off a slew of mouthwatering ingredients that paired nicely with live jazz. For gatherings like this, the space matters. Gulbrandsen gave Spear carte blanche in the dining room and one guiding cue: elegance. Knowing the room’s bay window would dictate the furnishings Spear went ground up, choosing a custom Stark octagon rug for its angular practicality. Seating came next, and boy was that a challenge. “It’s an old house, and the rooms are small,” explains Spear. Fine for family-of-four weeknight dinners, but Gulbrandsen wanted the option of 12 place settings. Trompe-l'œil! Spear used an optical illusion: “You'd think larger furniture would close in a small space, but sometimes you can use bigger pieces and less of ‘em to fool the eye,” she says. 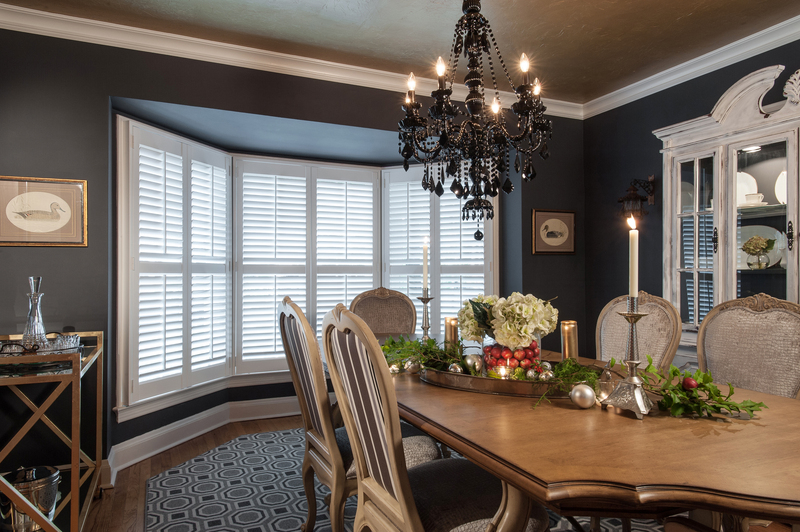 Black and white stripes add movement to welcoming chenille chairs; an over-scale table -- discontinued, from Century -- is chic despite its natural hue. At this point, Spear was maxed out on furniture, but the room needed architecture. The mirrors came to her in a dream; when Spear awoke, she sprinted to the antique store and bought ten mirrors on the spot! The crowing achievement -- that glimmering Swarovski black glass chandelier -- was “a disaster,” Gulbrandsen sighs, laughing about how the original chandelier Spear found in Key West arrived in a million pieces… right before then-pregnant Gulbrandsen’s due date! (The antique dealer eventually located another one in Manhattan.) The gold ceiling it hangs from, a specialty finish by Sherwin Williams, adds surprise and is edgy in a very unconventional way, Spear adds. Antiques offer the authentic, one-of-a-kind flavor Gulbrandsen covets. Spear gradually collected the rest of her dining collection: an incredible gold-and-white china set, gold silverware, and an interiorly-lit, old world china cabinet from a local antique store, milk-painted white then given a charcoal interior to match the room’s walls. Gulbrandsen didn’t want her home to look like everybody else’s. By teaming up with Spear, she got a unique look that’s just right for old-school entertaining.